There are so many subscription boxes to choose from now. 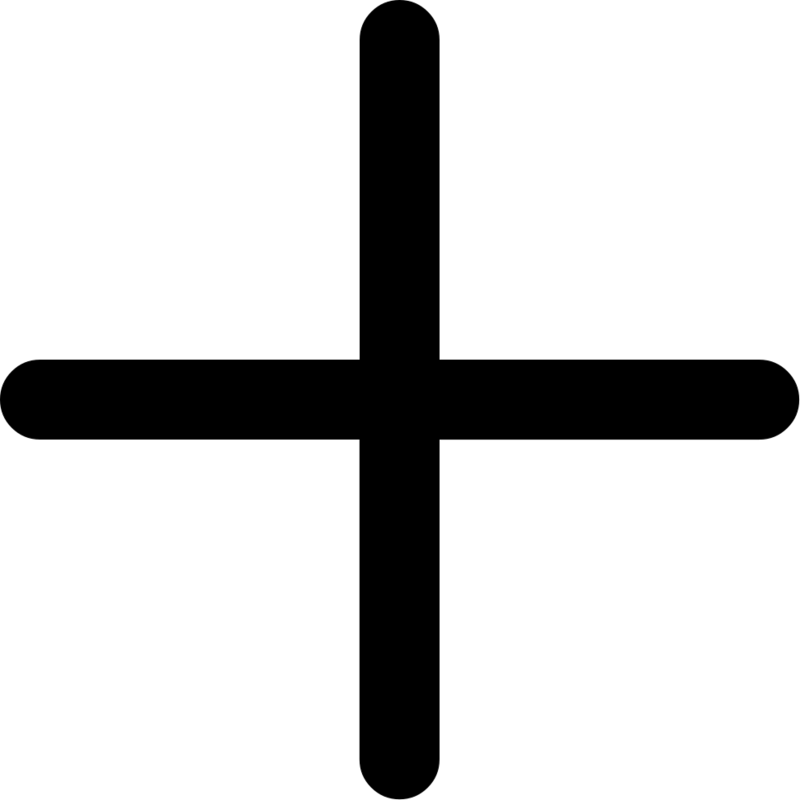 Recently I heard about Juniper, a monthly box that focuses on, well, your monthly cycle. Okay, okay. Maybe it's not the topic that we love to talk about, but the concept is slightly brilliant, so I thought I'd check it out. Juniper tout's itself as "a smarter way to manage your period" — now, I don't have any issues managing my period, but the thought of having treats and tampons (they claim that they will be offering the Diva Cup soon, whew!) delivered to my house is certainly appealing. I normally buy U by Kotex Click since they're compact and easy to throw in my makeup bag as back-ups (I prefer Diva Cups), but the non-compact Sleek tampons are the ones provided by Juniper. Dang. Either way, for whatever reason I was under the impression that U by Kotex were bleach-free. Upon further searching, I think I was wrong. In my next box I'll be requesting the NatraCare organic tampons. When you first sign up, you are given the option to add painkillers, pantyliners, etc. I opted out of these, because my mother went through a phase of coupon clipping and bought me approximately nine hundred boxes of pantyliners. This was years ago. I'm still not all the way through 'em. Aren't moms awesome? (answer: yes). But there's also the food pack. This is what roped me in. See my review after the jump. ▲ 479° Sea Salt Caramel Popcorn — This is some really damn tasty popcorn. It's the perfect amount for a snack. Bonus: it's a woman-founded company. ▲ Golden Earth Neroli Body Wash — This is a great summer citrus scent and a perfect size to throw in my travel bag. The scent is described as "essence of blossoms of Italian orange trees." Oh, okay fancy. Another woman-founded company. ▲ Nature's Kick Honey Sticks — This month's honey sticks are Keylime, Pink Lemonade, and Sour Tangerine. I don't know what to do with these. It says "Drizzle on everything." I'm not sure about that. I tried them, though, and have to say that they really weren't for me. The Keylime wasn't bad, but the other two just... nope. ▲ Nunes Farm Pistachios — Pistachos are one of my favorite snacks ever. They always remind me of the plant from Little Shop of Horrors. I'm a crazy person. ▲ Numi Teas — I'm also not much of a tea person (unless it's sweet tea), but I'm totally intrigued by the Moroccan Mint flavor. The others are Toasted Rice and Decaf Green Tea. I'll give 'em a try — they smell great! Another woman-founded company. ▲ Donsuemor Chocolate Madeleines — These aren't pictured because they showed up in my box all smashed and ugly. For the record, I wasn't a huge fan of them. I am normally all about the chocolates, but these didn't hit the spot. They were a little too cakey and crumbly for my taste. Another woman-founded company. Overall, I like the concept and the box. I think that the $28 price point is quite steep for how little you actually get (the tampons are normally around $5, so even if you figure in $5 shipping, consider for $18 I could go to the store and get a ton of snacks). The convenience is a big plus, and I like their focus on woman-founded companies. It would be nice to see a better selection of feminine product — Diva Cups included — another other organic cotton options. I'm going to give this box a few more tries and see how it holds up over multiple months. 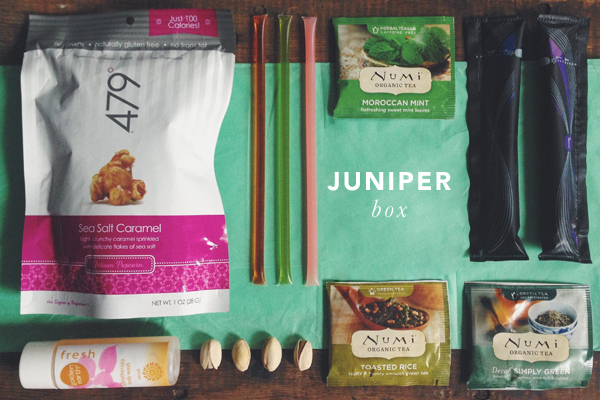 Have you tried Juniper or another similar subscription box? Let me know what you think in the comments!